A hard-driving journalist, Lee Strobel was exactly where he expected to be at work: on top. His award-winning investigative reporting recently earned him a promotion to legal editor at the Chicago Tribune. But things weren’t going nearly as well at home where his wife Leslie’s newfound faith in Christ went against everything Lee believed—or didn’t believe—as an avowed atheist. Utilizing his journalistic and legal training, Lee begins a quest to debunk the claims of Christianity in order to save his crumbling marriage. Chasing down the biggest story of his career, Lee comes face-to-face with unexpected results that could change everything he knows to be true. 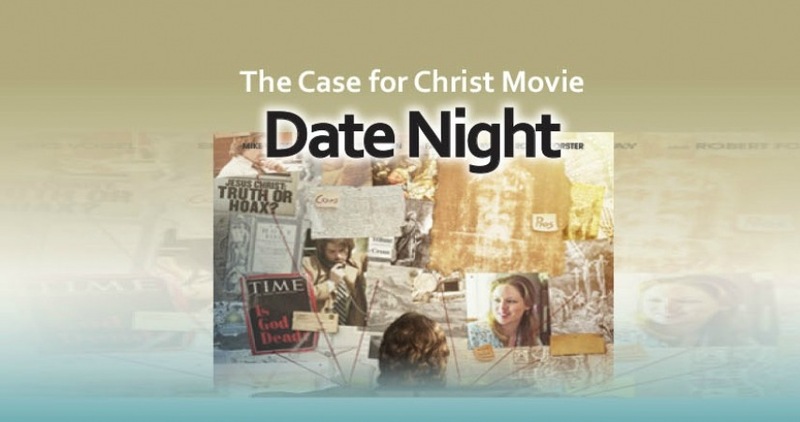 Plan an evening out together to view The Case for Christ movie, which is based on Lee Strobel’s award-winning bestselling book. • RSVP is encouraged by Wednesday, Nov. 1st. • To register, click on the button below and fill out the form. The viewing of the movie is complimentary along with the popcorn, candy and refreshments that will be served that evening. Questions? Contact Tammy Hill at thill@horizoncc.com or call 513 272-5800, ext 244. Childcare will be provided for children infant through 4th grade. 7:00 p.m. – 9:30 p.m.